From the Mississippian Period, this mound is the largest on salt water and possibly the largest prehistoric earthwork on the Gulf coast and is thought to be built around 800 AD. The Indian Temple Mound is a monument to Native Americans dating back 1000 years and is a historic national landmark. The Indian Mound Temple originally served as a religious and civic center that has been preserved to this day. A rich American Indian culture once extended from the Atlantic to the lower Mississippi River valley, and from Tennessee to the Gulf of Mexico. These people’s pyramids and ceremonial towers were similar to those of the early Maya. 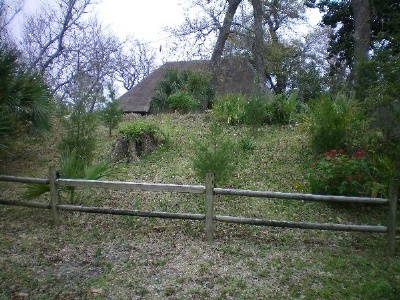 The Indian Temple Mound and Museum, in Fort Walton Beach, shows remains of an important settlement dating to the 1300s. The mound is on the National Historic Register.